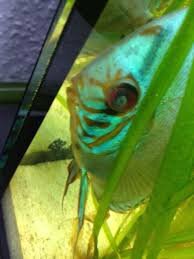 Cloudy Eyes is a very common problem/condition among discus and most other tropical aquarium fish. Some rare fish species have a normal cloudy sheen to their eyes, however, In most cases, the cloudy eye(s) is not a disease itself but rather a symptom which may or may not accompany diseases and medical conditions. Fatalities caused by cloudy eyes are rare and only occur at late stages of the condition progression and mainly through secondary bacterial, fungal, or even parasitic infections. Is Cloudy Eyes a Contagious Disease? As mentioned above, because of the fact that Cloudy Eyes in aquarium fish is not a disease itself but a symptom of an underlying disorder or condition, it is not considered as contagious. So if you have a discus or any other tropical fish with (unusual) cloudy eye(s), try to figure out possible reasons for it. Early diagnosis of the cause of cloudy eyes in tropical fish, can increase chances of survival and successful treatment. Cloudy eyes condition in discus and tropical fish can occur as a result of many conditions and diseases, whether serious or not. 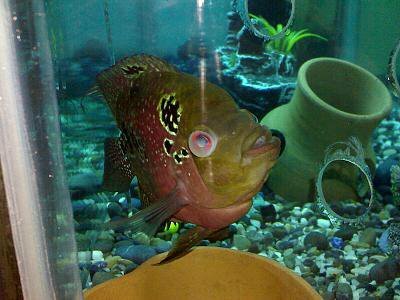 Here are some of the most common reasons for Cloudy Eyes in aquarium fish including Discus. 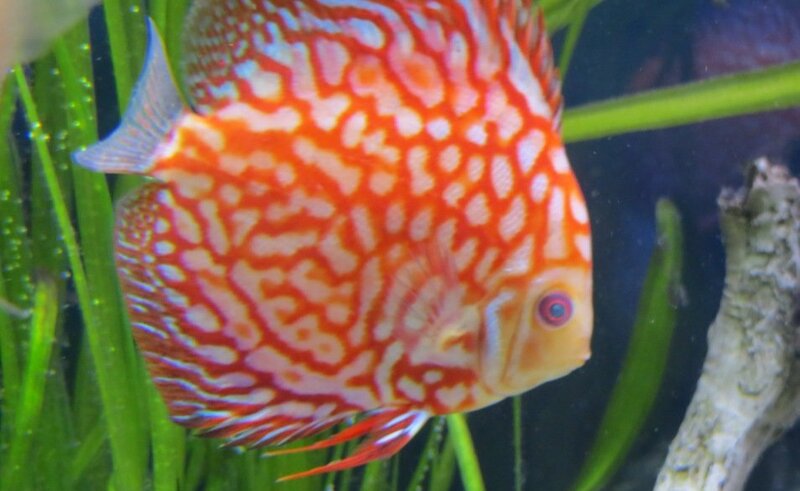 The most common cause of the cloudy eyes condition in discus fish seems to be poor water quality. Clean water is a key to fish health. High levels of ammonia, nitrite, and nitrate could cause the discus eye(s) to become cloudy. The amount of Chlorine and Chloramine in the water, too much salt, pH shock, medications, some water conditioners, drug interactions, sudden water temperature fluctuations, high TDS levels depending on what the TDS is made of , and etc can cause or worsen the condition either directly, or indirectly by weakening the fish immune system. How to Treat & Cure a Cloudy Eye in Fish? Make sure that the ammonia level is 0. You need to consider the Nitrogen Cycle and New Tank Syndrome. Water has to be clear and clean! Regular water changes are a critical part of discus tank maintenance. Water changes should be performed properly or they could do more harm than good. A sudden temperature change during water change can be problematic to your fish, or worsen the condition. Use a proper water conditioner to eliminate chlorine and Chloramine in the tap water. Do not overdose medications; Some medications such as formalin, especially if used in high GH levels or in combination with other drugs, can cause cloudy eye condition. If you plan to add any kind of medications, especially metal based ones like copper sulfate, please DO NOT mix it with heavy metal eradicator water conditioners and vice versa as it increases the risk of catastrophic drug interactions. Do Not add acid to water directly! Try other ways for adjusting pH, especially if you are a newbie. The points outlined above are only some of the many reasons why or how the water quality can lead to Cloudy Eyes in tropical fish. In the next paragraph, I am going to discuss disease-related causes for cloudy eyes in aquarium fish. 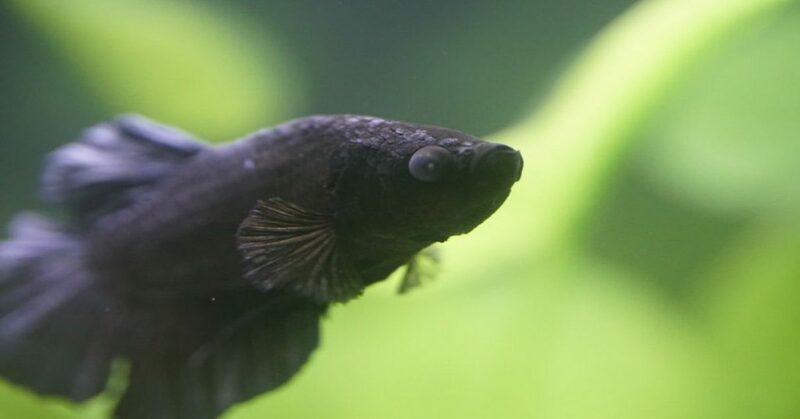 Anything that weaken the fish immune system including severe and constant stress, bullying from other tank mates, malnutrition, weakness, and etc can cause cloudiness in fish eyes. The best cure is to find possible underlying causes of the condition. In most cases changing water regularly and adding salt is helpful, especially in early stages of the condition.